The unbelievable release of this 2016 MV AgustaF3 800 will combine massive power and versatility specs that will boost the performance, the price starts at $15,798. This bike includes features that we don’t normally see in average sports bikes. Combining the power of 798cc displacement capability with many lightweight components is the real identity of the Agusta breed. 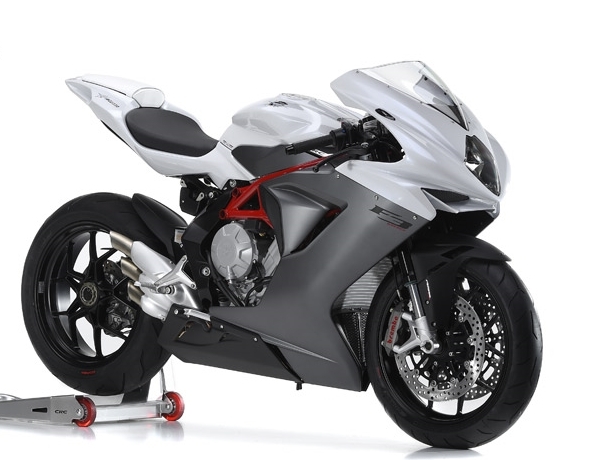 How many sports bikes weigh only 173kg? It’s rare, but Augusta does. The truest statement that best represents this bike is class-led performance whether on the track or the road, engine chassis balance and the quintessential technology. As for the design, this bike will provide aggressive power along with a sleek personality that will capture every eye. The integration of fascia will combine the windshield and headlights in the front end appearance. 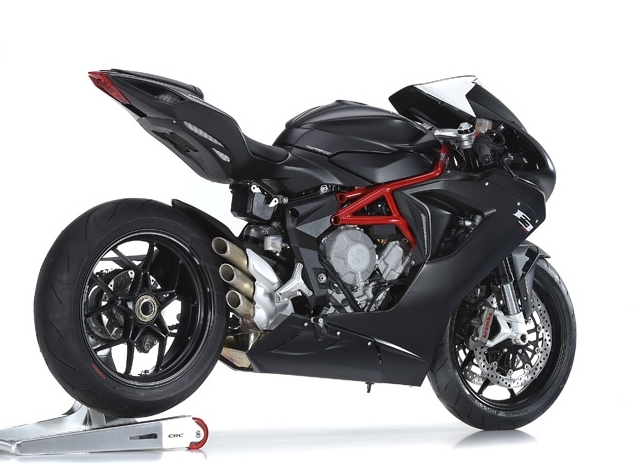 With black as the primary skin of the 2016 MV AgustaF3 800, and red as the accent on the mechanical frame, riders get a fancy and classy balanced outlook. Certainly the colors provide the best contrast, and bend the monotonous skin of sports motorcycles. Another pertinent part of this bike is the sharp shape from the fuel tank compartment that provides unique and comfortable riding in all road conditions. The expound size for the dimensions, such as wheelbase is at 54.33 inches, length is 81.01 inches, width is 28.54 inches, and saddle height at 31.69 inches. The maximum storage for fuel is approximately 16.5 liters. When we examine the body components – we are surprised with the combination of aluminum and ALS Tubular steel, along with the 23.7 inches of the extended swing arm.